First I want to thank everyone who participated in my celebration of Elana Johnson’s debut of her book POSSESSION. You all were so amazing in spreading the word. 105 people entered the contest. 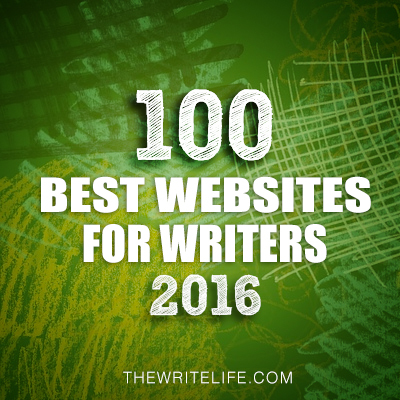 As a new blogger, it was more than awesome to see the response. Thank you all so much! E-mail me your addresses so I can have your books sent out. 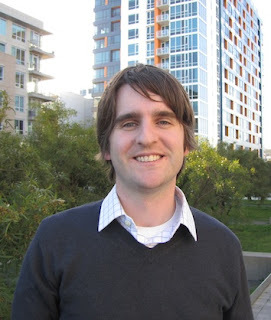 Today I’m so excited to be interviewing Nathan Bransford. He’s a former agent at Curtis Brown Ltd and a debut middle grade author. His book, JACOB WONDERBAR AND THE COSMIC SPACE KAPOW, was released May 11, 2011. I loved it. It was fast paced and so funny. Jacob Wonderbar is used to detentions, but when a spaceship crashes near his house, he finds himself in a whole new level of trouble. After swapping a corn dog for the ship, he and his two best friends, Sarah Daisy and Dexter, take off on a madcap adventure. They accidentally cause an epic explosion, get kidnapped by a space pirate, and are marooned on planets like Numonia and Paisley, where the air smells like burp breath and revenge-hungry substitute teachers rule. And that's only the beginning . . . It turns out that there's an entire colony of space humans, and Jacob's long-lost father just might be one of them. Hi Nath an. Thanks so much for joining us. 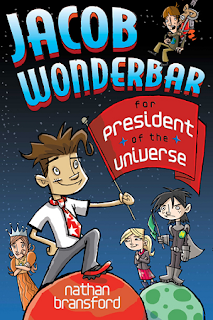 My book is JACOB WONDERBAR AND THE COSMIC SPACE KAPOW, which is about three kids who trade a corndog for a spaceship, blast off into space, accidentally break the universe, and have to find their way back home. It’s the first in a series published by Dial Books at Penguin. I’m a California native and former literary agent now working as a social media manager in the tech industry. In my spare time (that is, when I am not working or writing), I enjoy traveling, skiing, and drinking copious amounts of coffee. 2. I can totally relate to the drinking coffee. It’s how I survive too. How did you come up with the idea of your book? Did you make a conscious decision to write middle grade versus YA or did your idea dictate this? The idea started with an image I had of a kid trapped on a planet full of substitute teachers. I let that idea guide the rest of the process, and since it felt middle grade to me I decided to go with that genre. 3. I love your three main characters. Tell the truth now. Were you at all like Jacob, the smart aleck who always gets in trouble or Dexter, the more scared but maybe smarter guy who follows Jacob? How did you develop them as characters? Ha, thanks! I was way more like Dexter than Jacob. I was too scared to get into trouble (though I always admired the kids who were brave like Jacob). To develop the characters I started with a few basic defining characteristics, and then build around that. So Jacob is a goodhearted troublemaker, but it’s more complicated than that because he’s missing his dad. Dexter is timid, but then again he secretly wants to have fun, but then again he also has a pretty rigid sense of right and wrong. I just kept fleshing things out as the book went on. 4. I just love Sarah because she’s so independent and her role models are Betty Friedan and Susan B. Anthony. Did you pattern her after someone in your life? If not, what made you decide on her character? I always seem to be surrounded by strong women in real life, so Sarah reflects that. I knew I wanted to have a strong, independent female character in the book, but Sarah also has to learn to balance her fierceness and not let it get the best of her. 5. You do a great job of showing that balance. You created a world that middle graders should totally enjoy—talking spaceships, a pirate and his ship, and a planet that smells like burp. Tell us a little about your world building process and how your intended audience shaped your decisions. I tried as much as possible to remember the types of things I thought were funny at that age and to really channel my inner eleven-year-old. So burp breath, upside-down calculator jokes (which took my 4th grade class by storm), and snoring. Beyond that, I just tried to really build a world where those initial ideas I had made sense. It needed to feel natural for there to be a planet of substitute teachers and for Jacob to accidentally break the universe. From there I just kept trying to build a galaxy that reflected that wacky spirit. 6. I’m always totally inspired when I see other authors who are able to write while working at a full-time job. It gives me hope that I can do it too. You have a demanding job and have a super popular blog. How do you juggle it all? 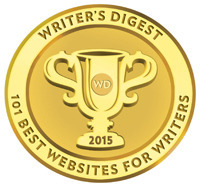 What’s your writing process? Basically I work for my day job during the week, get most of my blogging done on weeknights and write my books on the weekends. I’ll wake up on a Saturday morning, fire up the pot of coffee and just get right to it. It can get tiring, but I do it because I love it. 7. By the way guys, Nathan did a fabulous guest post on Janice Hardy’s blog (a great blog btw) where he describes how he writes in more detail. You can find it here. I recently learned that this wasn’t your first book. What was your road to publication like? When I was in my mid-twenties I wrote an adult science fiction novel that didn’t work out. I tried to find agents and received some positive feedback, but ultimately reached the conclusion that it just wasn’t going to happen. Around that time I had the idea for Wonderbar. I dashed off a few pages, it felt like it was working, and so I went with it. Six months later I was querying agents, Catherine Drayton at InkWell offered to represent me, and a few months after that I was deciding between publishers. I was really lucky. 8. That’s awesome, but shows that even agents have to query like the rest of us. 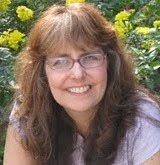 Being a former agent at Curtis Brown Ltd, you have a lot of expertise in publishing that many debut authors don’t have. How are you marketing your book? Do you think marketing is different for middle grade authors than if their book was YA? Do you have any advice for us? I’m mainly promoting via my blog, and just hoping that the people who know me through the blog and who have a sense of my writing style will pick up a copy and then mention it to their friends. I don’t know that I have a great deal of insight into marketing to middle grade readers specifically, but my general advice for authors is to just do what you’re best at. 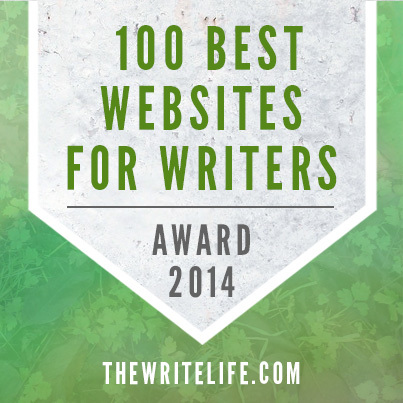 If you like to blog, do that. If you like to do appearances and school visits, do that. If you’re a great networker, do that. The best way to maximize your efforts is to do the activities you enjoy the most and are best at. 9. That’s great advice. And it should give us all hope that there is a way we can help market our books well. What are you working on now? 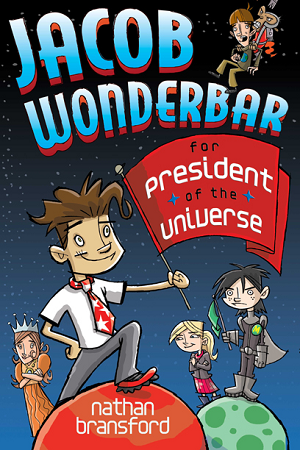 And so everyone knows, Nathan’s second book is JACOB WONDERBAR FOR PRESIDENT OF THE UNIVERSE. I know it’s going to be great just from the title. Good luck Nathan. You can find Nathan at his blog. You should definitely check it out. He always has such great advice . 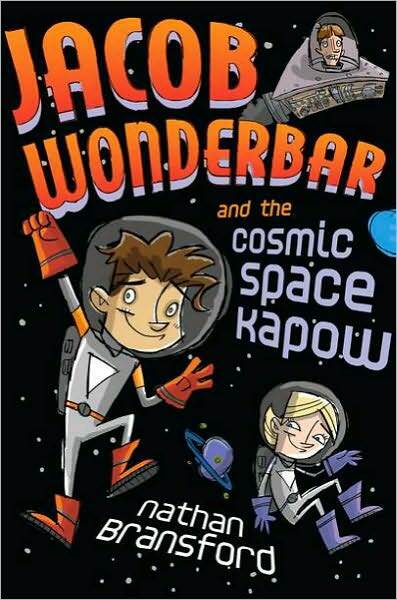 I’m giving away a copy of JACOB WONDERBAR AND THE COSMIC SPACE KAPOW. All you need to do is be a follower (just click the follow button if you’re not a follower) and leave a comment by midnight on June 25th. I’ll announce the winner on June 27th. International entries are welcome. Next week I’m going to do a book giveaway of some books I’ve been saving for you to thank you for all the support you gave in the Elana Johnson contest. Hope to see you next Monday. Thanks for the calculator jokes fourth grade flashback. And for the charming talk with Mr. Space Kapow. Great interview, Natalie! Nathan's blog is the best and I'd love to win a copy of his book. Great review! And thanks for the link to his other interviews. I love Nathan's down-to-Earth style of blog writing. I would love to win a book! Thanks Nathan for letting me interview you. Your book is such a fun middle grade read. And Marta, Steve, Suzie, and Terry--glad you enjoyed the interview. Nice interview, Natalie! 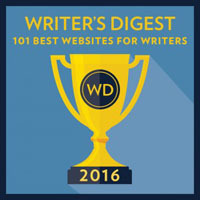 Congrats to Nathan on his book series and for a great blog that has helped many writers over the years. What a fantastic interview! So many great take away writing for middle grade and writing in general tips! Thanks, Nathan and Natalie. Thanks for the interview and good luck Nathan on your second book! I've never seen this one. It looks fantastic! A planet that smells like burb! My 9 year old would love it. Fun interview, Natalie! And I already own a copy of this, so let someone else win it. Funny books for boys are ALWAYS popular at the bookstore where I work! How was I not a follower of this blog? I've linked to it for months off mine. Sheesh. I double-checked because I'd love a copy of this book! Thank you, Natalie and Nathan, for the interview! Hearing about writers balancing work and writing is so helpful. And hearing 'road to publishing' stories is too because they're all so different. Nathan, a direct thanks for your blog. It's one a published author friend of mine directed me to about a year ago when I first said, "I wanna write." Nathan rules! What a nice surprise this was for a Monday morning. Woo-hoo! Thanks for doing the giveaway of POSSESSION--I can't believe I won!! YAY! And what a great interview, Nathan, and Natalie--I can't wait to read Nathan's book. I know it will be awesome! OF COURSE I WANT THIS BOOK! Nathan is the awesomest of all people in the internet world. AKA my hero. I'm sure this book is brilliant. Please count me in! Great questions, Natalie! This was an awesome interview! I've been so impressed with nathan's blog and all the wonderful information he provides. Nice to get into his head a bit. Great interview. Jacob Wonderbar seems like a great fit for my nephews! Hope they enjoy it as much as I enjoy Nathan's blog. Thanks, everyone! And thanks to Natalie for her great questions. Great interview. Nathan is an inspiration to us all. My son and my nephews would absolutely adore this book. I love the smells like burp analogy. I'm going to make sure I get three copies for my son and two nephews. The book sounds perfect for MG boys and girls, too. And I've always enjoyed Nathan's blog(s)!!! Based on his blog humor I'm sure his books will be LOL funny. Congratulations to the winners of Elana's book. Another good Nathan Bransford interview. Interesting to hear more about the characters. Sign me up for a copy! Nathan is awesome! Great interview! 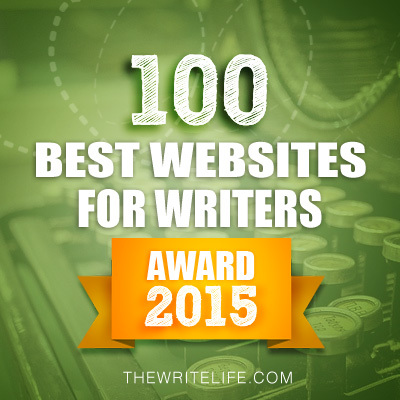 Thanks for spotlighting MG authors! Thanks for the great interview! I really liked this one, and so did my twelve-year-old. I'm so happy to hear that there will be more Jacob Wonderbar to come! I would love to be entered to win this book. I'm excited to read it! Cool! I win and I get to see a great interview! Thank you! I'm so happy! Nathan's book sounds super cute and funny. Love that he's created a strong female character, too. Great interview Natalie! The book sounds really fun and i love the writing tip posted today! Jacob Wonderbar is silly fun, it's like a MG Hitchhiker's Guide. I enjoyed it and have passed it on to my kids (boys, ages 6 and 9). Great interview! Jacob sounds awesome:)Congrats, Nathan. I'm looking forward to reading this. I was surprised that the book was the same price on Kindle as it was for the hard copy on Amazon. I thought I might save money by buying it on Kindle. Another great interview Natalie and Nathan! I loved getting some insight into your road to publication. Your book sounds like loads of fun. I'm sure the MG'ers will eat it up!! Good luck! Thanks for the interview. Nathan's fantastic! This sounds like a great book--I can't wait to read it! Thanks for another terrific interview! Jacob Wonderbar sounds like a lot of fun. I'd love to give it a good home :) I've been following this blog for a while, but I don't think I've commented before, so - hi! Fun interview, Natalie and Nathan. I can't wait to read this book! I cannot wait to read Nathan's book. His blog writing is so entertaining so I predict his kidlit prose will be outta this world.